Posted in Outreach News on June 21, 2013 by Susan Cobb. 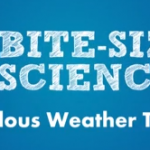 The latest video in the “Bite-Sized Science” series highlights the NOAA Hazardous Weather Testbed 2013 Spring Experiments. Posted in People News on May 24, 2013 by Susan Cobb. May 24, 2013, is the 40th anniversary of the Union City, Okla., tornadic storm. Posted in Forecast Research News, Research News on May 24, 2013 by Susan Cobb. 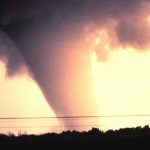 The Hazardous Weather Testbed Spring Forecast Experiment was in full operation on May 20, 2013 as the tornado tore through Newcastle and Moore, OK.
Posted in Radar, Research News on May 23, 2013 by Susan Cobb. 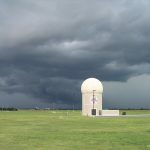 On both May 19 and May 20, 2013, NSSL researchers collected data on storms that produced tornadoes using both the NWRT Phased Array Radar (PAR), and the mobile dual-polarized radar. Posted in Research News, Warning Research News on May 21, 2013 by Susan Cobb. 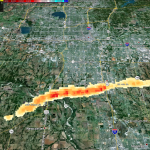 The experimental Tornado Debris Signature algorithm uses dual-pol radar data to map areas of debris. Posted in Talks and Articles on May 16, 2013 by Susan Cobb. 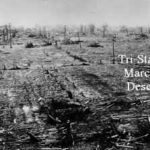 Scientists have re-examined the March 18, 1925 Tri-State Tornado was unusually severe, killing 695 people while it was on the ground for a record 219 miles crossing parts of Missouri, Illinois and Indiana. Posted in Forecast Research News, Research News on May 15, 2013 by Susan Cobb. Today, researchers launched the Mesoscale Predictability EXperiment (MPEX) field project to collect data on pre-storm and post-storm environments in an effort to better predict where and when thunderstorms will form. MPEX runs from May 15 – June 15, and is funded by the National Science Foundation. Posted in Outreach News on May 9, 2013 by Susan Cobb. 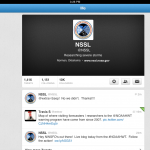 On May 9, 2013 @NSSL snagged our 10,000 Twitter follower! We have 23K folks on Facebook. Thank you so much for your interest in our work. We will keep it coming! Posted in Photo of the Month on May 9, 2013 by Susan Cobb.